We offer pool and spa inspections as part of the home inspection process, or you can schedule these services separately. We are also licensed for commercial inspections. Call 480-521-0054 today to schedule a certified home inspection in the Chandler, AZ area, or book a home inspection online. We provide thorough home inspection services that cover everything from the foundation to the chimney. We'll test home appliances and evaluate the age and condition of the roof, HVAC system, electrical and plumbing. While you're focused on the home's curb appeal and location, we work behind the scenes to make sure everything is in proper working order before you buy or sell. Gain confidence in one of the biggest purchases you'll ever make by scheduling a buyer inspection in Chandler, AZ. Taylor Made Inspection Service got its start four years ago. Our owner bought a home, found the inspection process to be fascinating and decided to start his own inspection business, with the goal of providing the best service for his clients. You'll deal with our owner on every inspection and have all your questions answered during the process. 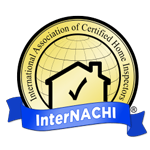 Contact Taylor Made Inspection Service today to reach an InterNACHI home inspector in Chandler, AZ.